We have now received an official comment from one Sony official on Twitter, which also confirms the PSN CE-33945-4 and E-820001F7 error codes being reported to Down Today. The feedback we received on Twitter confirmed, “The PSN servers are currently experiencing some issues. This has resulted in some games unable to play online, we are aware of the problem and aiming to fix the issue shortly”. Down Today readers mention they have tried playing NBA 2K15 and Destiny, but receive the error code CE-33945-4 when trying to restore licenses in NBA 2K15. Errors arrive when trying to communicate with PSN servers. 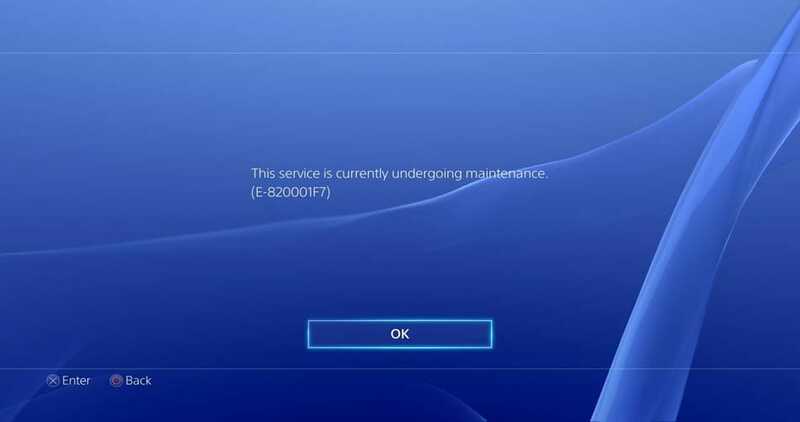 The same error happens in Destiny, although those trying to sign-in to the PSN Store on PS4 get error code E-820001F7. Report your error codes and problems trying to access PSN today on the PlayStation Network status page. You’ll see the latest feedback from gamers there.